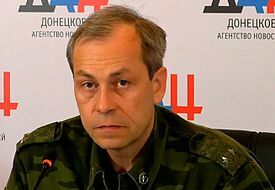 Three soldiers of Donetsk People’s Republic (DPR) Armed Forces were killed in the Ukrainian saboteurs’ attack on one of the observation posts, DPR Deputy Defense Minister Eduard Basurin claimed during his briefing in Donetsk News Agency yesterday. “Sabotage-recon groups of Ukrainian army continue to carry out terrorist attacks on the DPR territory. The enemy attacked the observation post of DPR army, outnumbering the defenders three times, trying to break through deep into our territory, as a result of which three our soldiers died a heroic death,” the spokesman of DPR Defence Ministry said. Earlier, in February, a group of Ukrainian saboteurs blew up the railroad tracks at the strategically important railroad haul Yasinovataya-Skotovataya.